Calling all Pixies and Saints: Grab three coins, see, because I’ve got the fountain. Our Captain has turned on the Fasten Seat Belt sign. If you haven’t already done so, please stow your carry-on luggage underneath the seat in front of you or in the overhead compartment, I do say with relish. 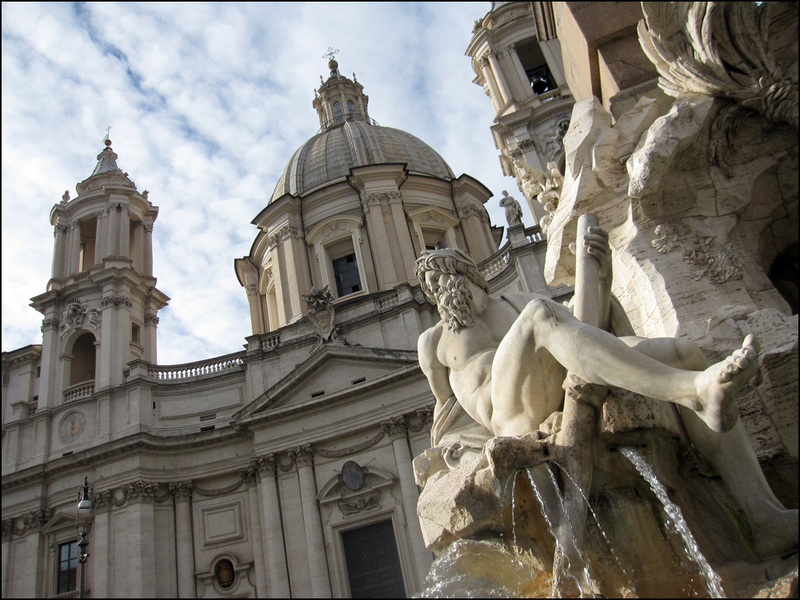 During the festive month of Dicembre, let’s celebrate La Dolce Vita behind the great walls of the Eternal City, shall we? By all means, in preparation, let’s clip more and more and MORE from Billy Wyler’s “Roman Holiday” trailer (1953). Repeat after me: There’s a new holiday on your calendar, so let your hair down not promises, and prepare for the greatest gay and giddy spree a girl ever had lived, loved, or filmed in Rome. Stop. Wait. Was that Gregory Peck, Marcello Vincenzo Domenico Mastroianni, or Cleopatra’s main squeeze Mark Antony (we’re talking B.C. not J.Lo!). Never a mess, I am hooked. Love in the ruins. I am lost in time travel. I will, too. Let’s roll the teaser! Lights! Camera! Action! Shop with view of the Scalinata dei Trinità dei Monti (a.k.a. the Spanish Steps). You’ll find high ticket duds along the nearby the narrow Via Condotti. Hold on to your wallet! Perfect for window-shopping. 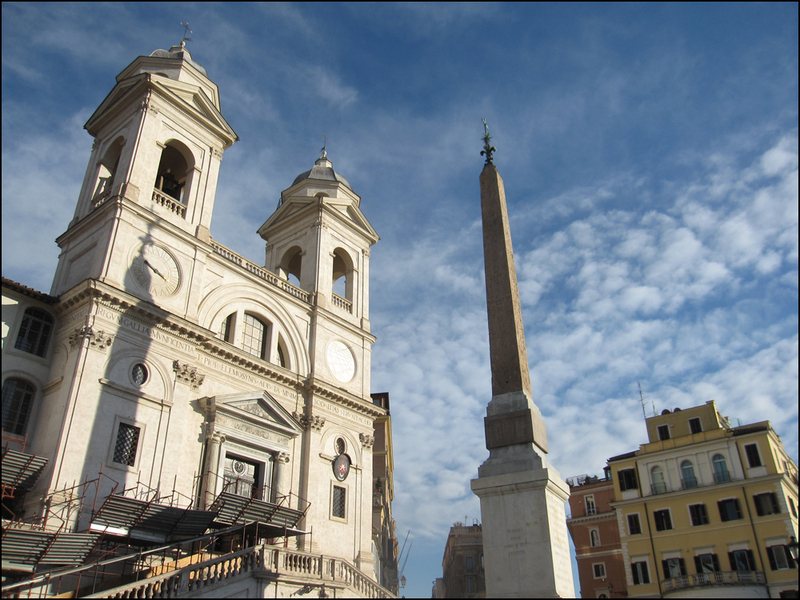 138 Spanish Steps will take you up to the Trinità dei Monti! Tip: Bernardo Bertolucci’s epic weepie Besieged (1998) with Thandie Newton and David Thewlis was filmed in an old flat over looking the Spanish steps, on the north side, upper left if you are standing at the bottom of the steps). 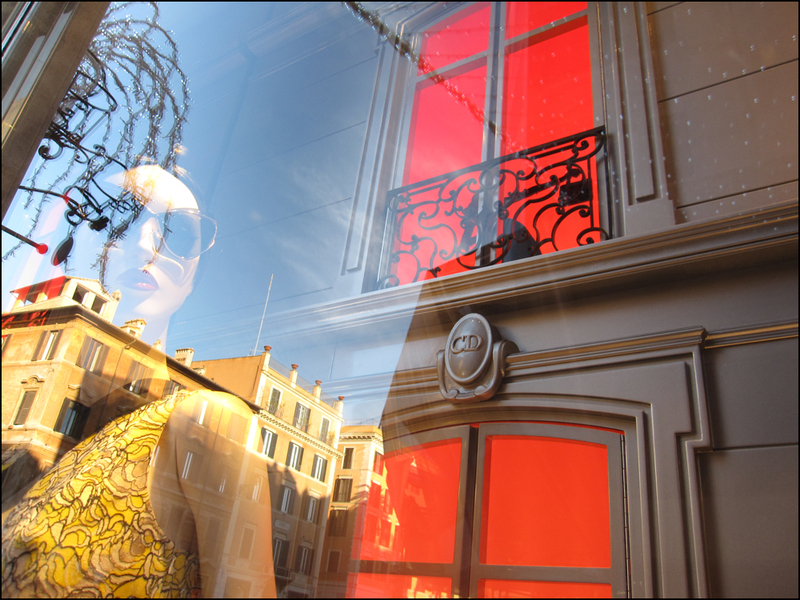 Window-shopping near the Piazza di Spagna (a.k.a. Spanish Steps). Hopeless Romantics: The Keats-Shelley Memorial House is just a kiss, skip, and jump away. Tip: Learn from Keats. Don’t let the ill reviews get you down. Living swell is the best revenge, according to my pal, Oscar Wilde! 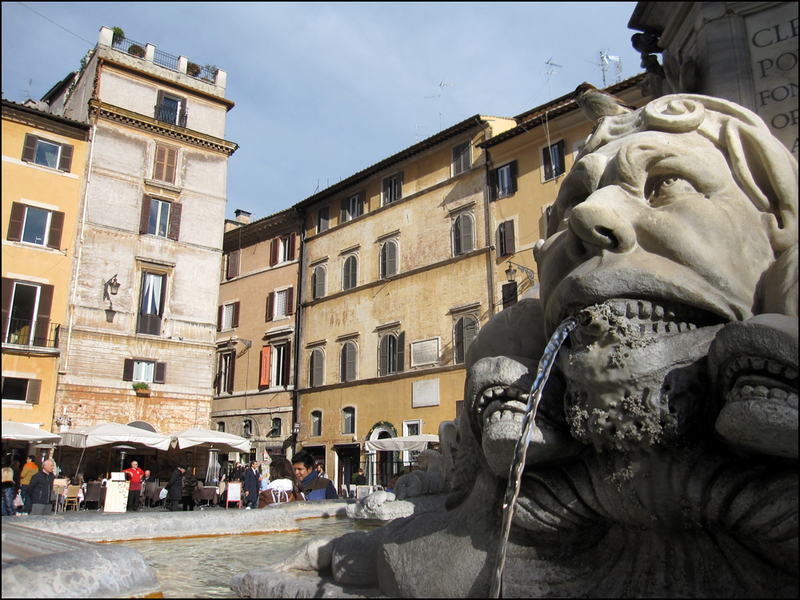 Fontana del Pantheon at the Piazza della Rotonda, constructed by Giacomo Della Porta under Pope Gregory XIII in 1575. The obelisk was added added in 1711 under Pope Clement XI. (Tip: Here is where Audrey Hepburn’s character, Princess Ann, ordered Champagne in the morning. Heck, why not. Be queen for a day! Halo, Kitty! I can see your nimbus! You’ll find a volunteer-run, no-kill cat shelter in the ruins of Torre Argentina. There are plenty of hot spots for sunbathing! Here is where I lost my heart. 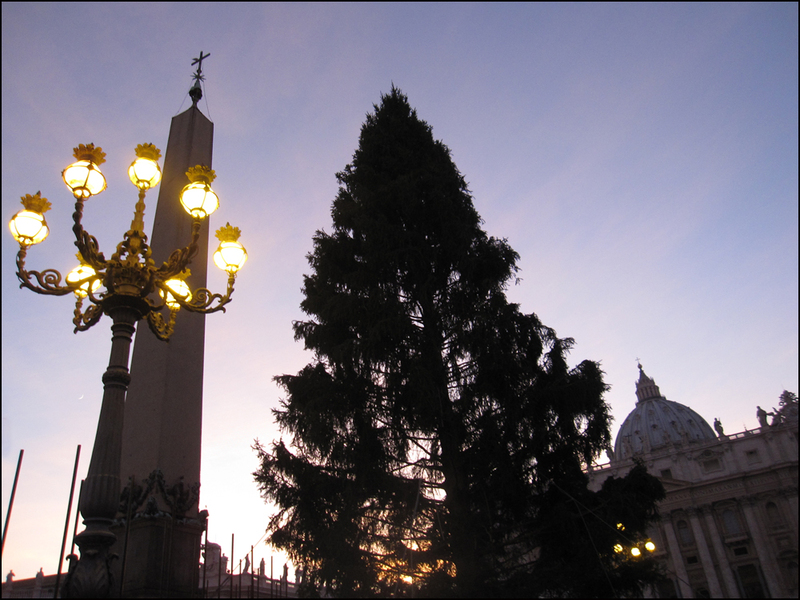 St Peter’s (Basilica di San Pietro), Piazza San Pietro This year’s theme Christmas tree already holds court in the St. Peter’s Square. Transported from Bavaria, Germany, on Dec. 6th, it is more than 80 feet high. Great pictures! Kind of jealous because I would love to visit Rome again. There’s a little hotel just off the Spanish Steps I used to stay at, and apparently Fellini used to stay there then when shooting in Roma…. joyeuses vacances! Ring…a ding…ding…….as a wonderful friend of mine might say! Ah Rome, I was there to celebrate her 2,763rd birthday and even joined in the birthday parade. Oh what fun was had. (here is my post if you desire to see : http://the-tin-man.com/2012/05/03/rome-italy-happy-2763rd-birthday/ ) I love the Taverne da Meo Patacca of course another post (http://the-tin-man.com/2012/05/09/da-meo-patacca-piazza-dei-meranti-rome-italy/) What fun I have had skipping, dashing, wandering those wonderful streets, eating those wonderful delights and laughing and singing with the people of this most beautiful of places! I should have known. 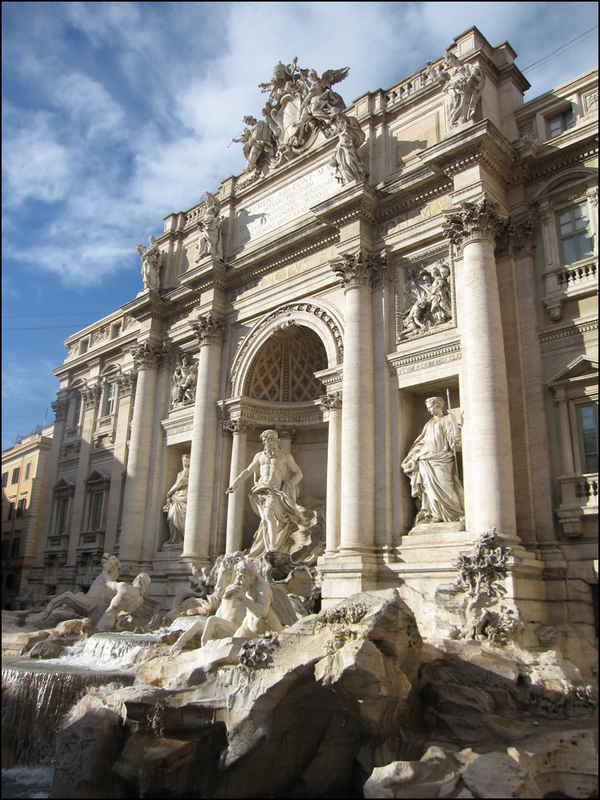 Ruby satin slippers run red when you dangle your toes in the Trevi fountain. (ones feet needed respite from all those Spanish Steps). La Dolce Vita carried me away. The Four Aces were singing about Three Coins and there we were, Tinny and I waiting for Theadora. Tinny shooting a Fellini inspired movie with his sweet little phone. “Theadora and I are ready for our close-ups Mr. Tin Man!! ……….and so it shall be! Lovely you both are with your toes splashing in the waters. Delightful! I do believe you both shall dance a Can-can on the Spanish Steps………oh yes…….I am off to find some ostrich feather fans…….back in a flash! Bring lots of Fans Tinny. I’m a rather tall girl , and ahem ahem… well-endowed. V.
Oh for the LOVE…………….I have chased the biggest and tallest ostriches in the land to make the most beautiful and large fans……….thou shalt be covered!…………oh you did make me laugh out loud with that one! Lovely photos – looks like a great place to visit! Which one did the fountain bless … gorgeous shots boosted my memories. I love a good kitty nimbus! Paris is so beautiful, I cannot imagine people wanting to leave! Beautiful shots, T! And what a great film! Have a great trip. 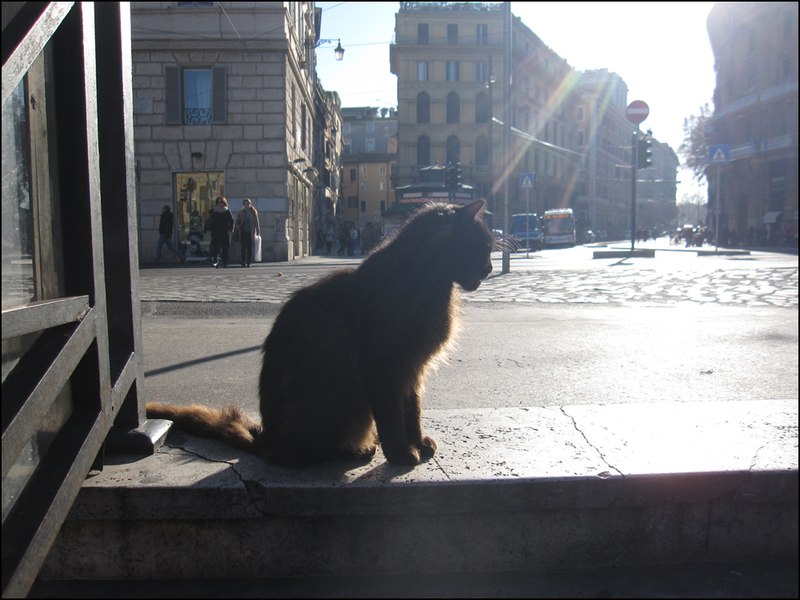 Wishing you more wonderful Roman vacances Theadora, that sun-bathing kitty has the best spot! 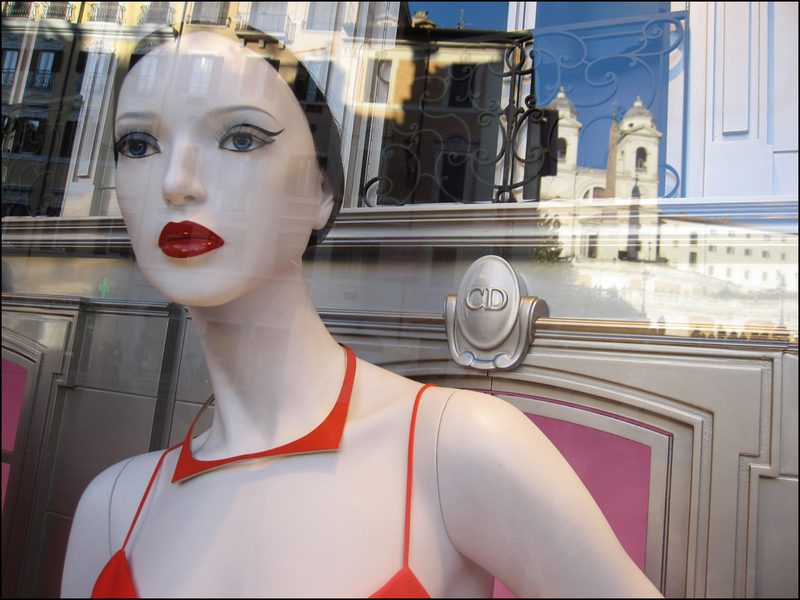 Nice to see the chirpy side of Rome Theadora! Thank you. Just catching up with this, wow wow WOW. Have you been mentored in History by the Tinman? No one else I know has such erudite posts except you two. What’s the opposite of belated? From this post’s date — Happy New Year in advance!